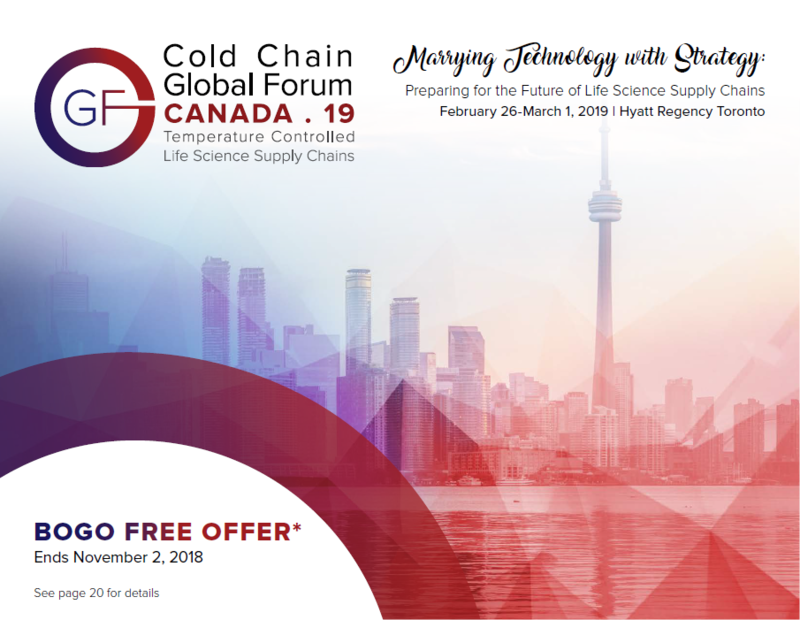 The 17th Cold Chain Global Forum Canada is returning to Toronto, February 26 - March 1, 2019 at the Hyatt Regency Toronto. Join us for the largest temperature controlled life science supply chain event of it’s kind focusing specifically on the challenges and opportunities of the Canadian market. Find everything you need for your packaging and logistics challenges while ensuring quality, compliance and secure supply chains.